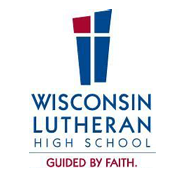 Wisconsin Lutheran High School, commonly referred to as WLHS or Wisco, is a private preparatory religious high school located in Milwaukee, Wisconsin. Originally part of Lutheran High School (LHS), it is the oldest Lutheran high school in America. It is owned and operated by various Wisconsin Evangelical Lutheran Synod (WELS) congregations in the Milwaukee area.